This statement applies to existing residents and applicants. It describes why we collect your personal information and how we treat it. 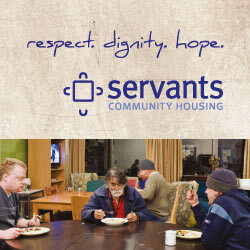 Servants Community Housing want to assure you that your privacy is important and respected. We are bound by the Information Privacy Act 2000, which applies to all the personal information that SCH may collect about you. “Personal information” means any information that can be connected to your identity, including your name and address, other personal details, medical information and opinions about you. All staff, contractors, board members and volunteers must all follow this policy. We collect the information we need to provide housing services and fulfil our legal obligations to government departments that require us to report to them. We are required to know information about your income and other personal information to confirm your eligibility for housing with us. You are not required to give us information about your health however it will help us choose the most suitable place for you and the information is kept strictly confidential. When we are required to give statistical data to government departments, we do not identify you by name. We take care to protect your personal information and we only disclose it when it’s necessary and we have the right to do so. We may disclose your personal information to Centrelink so that Centrelink can provide us with the information we need to calculate your rent and so that your rent can be paid through Centrepay. We will ask you to sign a form giving us consent to do this. If you have authorised us to discuss your tenancy or personal information with your support worker, case manager, carer, guardian, legal representative, health professional or other nominated advocate, or to make a referral on your behalf to a support agency or health centre, we will only disclose to them the information that is necessary for us to complete the referral or to address your support issue. However, in the event that someone’s health or safety is at risk, we will disclose your personal information to emergency services such as Police or Ambulance workers. If we publish or produce any promotional material and include your image, voice or story, we will obtain your written consent before doing so. We take steps to protect the security of the personal information we hold. Personal information in electronic form is stored on a password-protected network. Paper files are kept in locked cabinets in locked offices. Information is destroyed when we are no longer legally required to hold it.